In the late fall of 2008, I wrote an opening paragraph for an agent's blog contest. It ended up winning, so I had to write the rest of the book that went with it. That book was RELAX, I'M A NINJA. And it was my "big break." By that I mean it was the first time I really got seen by the publishing industry in any way. At the time I thought it was massively huge, looking back it was only a tiny step into a world that has, in both good and bad ways, changed my life. 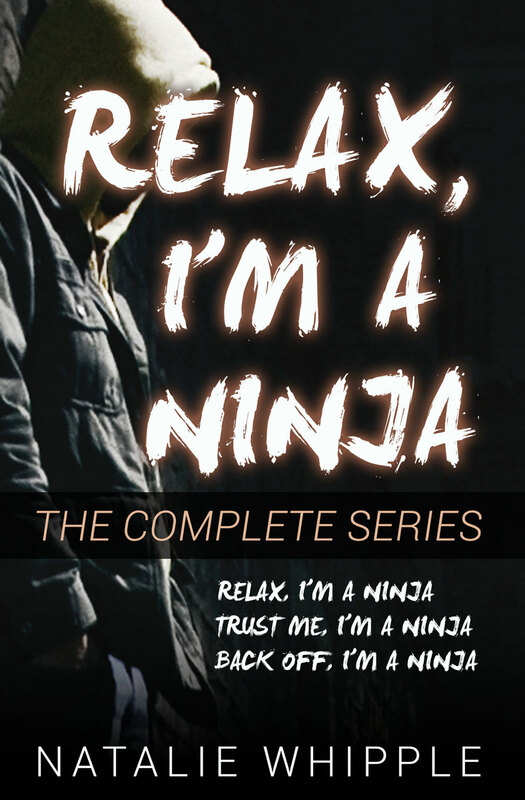 The ninjas never sold in the traditional publishing market. But that's a story I've told and, much to my shock, was read by the internet writing community. That rejection may be what made me known to many writers. "Oh, she's that writer who wrote about the real story of being on submission." Things got a little better after that, since I finally got another "big break" in which HarperTeen bought two novels from me, TRANSPARENT and HOUSE OF IVY & SORROW. Of course I thought everything would be okay from there on out. I'd run the gauntlet of querying and submissions and finally I'd sold books in the traditional market. I even sold one foreign right for the UK territories. And I haven't sold in the US since then. But you guys know that story, too, and I'm not here to re-hash all my struggles to keep being a writer. I'm here to reflect on all of this. Because BACK OFF, I'M A NINJA is done. I've just finished all the nitty gritty that goes into indie publishing—prepping the book in layout, formatting for ebook, uploading to all the websites where people will hopefully buy a copy or two. I've finished the series. The weight of it has lifted off my shoulders and I'm left with both a sense of accomplishment and a blank slate for my future. I also don't have a lot of luck selling to publishers. I've sold to the UK a couple times since my first deal, but other than a work-for-hire job I can't seem to interest my home book market. I'm not saying this in a complaining way—just in a practical way. I haven't fit the market. I know I need to. No hard feelings. But that means I don't have much hope for selling any further work. So, in a poetic way, BACK OFF, I'M A NINJA could be my last published novel. I got my first "big break" with Tosh, and now his story is ending this chapter of my career. It's all full circle and junk. I like that. Life is wonderful that way, giving you these neat stopping-places where you can reflect and rest and absorb what you've learned. I'm not saying my writing career is over. I'm not saying I'm quitting. Nor am I saying I don't have more stories to tell. But this is an end of sorts. I can feel it like I can feel the end of a novel as I write the last line. And, to my surprise, I need an ending right about now. I've been through my shaky beginning and hopeless middle. I've conquered my climax and felt the ease of my denouement. I've quietly published nine books (written about twice that many) in the time since RELAX won that contest. I NEED this ending so much I feel like crying with joy that it's over. Because I also need a new beginning. I don't know what's in store for me next. I don't know if I'll ever publish another book. Not that I won't be trying. Not that I won't be writing. But it feels like I'm starting all over again and I don't know what's in store. I know that if I don't sell, I won't have more books to share. I know that I'll be writing whether I want to or not, because that's just what I do. I don't know where the next years will take me, but I'm determined to enjoy them for once. That's what endings are for, right? Maybe my next beginning will start soon. Maybe it will be years. But at least I've learned enough through all this madness to know what's really important in my life. I've also learned, finally, how to wait. And I've grown enough to recognize the quietest times in my life are the ones I treasure most. Thanks so much for sharing this. 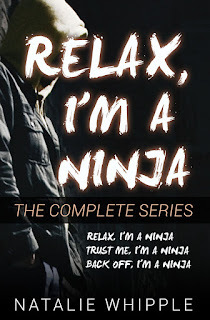 I had no idea about the origins of Relax, I'm A Ninja! All I knew when I read it is that most traditionally published fiction has never resonated with me like it did. Congrats on finishing the novel, and I can't wait to read the final installment and tell all my friends to, too! This makes me happy for you. There are things much more important than publishing books. Thank you for your heartfelt words, for all of your hard work, for your example, for your dedication, for your stick with it attitude, for your patience, for your passion, and for your wisdom!. You have done HARD THINGS and I'm one PROUD Mama!! "I know that I'll be writing whether I want to or not, because that's just what I do." I'll selfishly be hoping that the future unfolds in such a way that allows you to share more books with the rest of us. But I'm so glad you'll get a little rest/reflection space. Those are important. Have you tried Creativia? I'm hearing good things about it. Thanks so much for posting this Natalie, and I'm keen to read the last book in the trilogy! Looking forward to seeing Tosh and Amy again. Giving yourself time and chance you need to focus on other things is incredibly important. Enjoy the quieter times. If this is a swan song, it's a beautiful one. Congratulations on all the worlds you've created and characters you've birthed. I have not yet read all of your books but I've enjoyed following you on your writer's journey and reading four of them. Cheers to wherever you go next! Here's to enjoying the peace and your many accomplishments. Lots of luck with whatever you attempt next. Don't often comment but needed to for this post! Began reading this blog in its "early days" which also happened to align with my own early days as an aspiring author. Took a couple of years off of writing myself, and recently checked back in on some of my old favorite blogs, many of which are no longer active. Was thrilled and thankful to find you remained committed to documenting your journey as a writer and author - be it through the thick or thin. Your blog served - and continues to serve - as a huge source of inspiration to me. Thank you!